It's a funny thing, but as I get older, I'm loving Christmas even more. Every year, my excitement builds more than it did the previous year. As soon as it hits December 1, I want the decorations up, Christmas carols, and I want it to feel like Christmas. None of this 12 days of Christmas for me. However, I've decided to tone it down and stick to the usual 12 days of Christmas here. Apart from putting up your tree, checking out Christmas lights, or listening to the Glee Christmas album on repeat, there are other ways I like to get in the spirit. And that is, only watching Christmas movies during the holidays. And here are my tips for the very best. Not what I would consider to be the most 'jolly' of movies, so this one is the first to watch. If you were a kid in the 80's, you would remember this one, another reason why it makes my list. Basically, don't buy your kid a Mogwai for Christmas, or it may spawn evil and ruin your day. After searching for a presant for his teenage son, Randall comes across an unusual creature in Chinatown. The store's owner refuses to sell it to him, but, as Randall is leaving the store, the store owner's grandson tells him they really need the money, and sells it. Upon leaving, the boy gives Randall three instructions that he must follow. The first, never expose it to bright lights, especially sunlight as it may kill it. The second, never get it wet, and lastly, never feed it after midnight. So of course, Randall sets off, the rules are broken, and the Mogwai who is named 'Gizmo' spawns evil versions of himself. Makes number two on my list for two great big reasons. Dolly Parton. 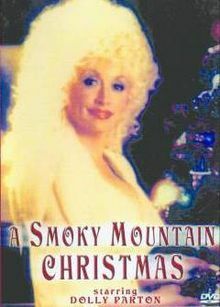 Dolly Parton stars as a country music star named Lorna. When fame becomes too much, she plans a trip to a friend's cabin in Tennessee for the holiday season. When she arrives, she finds seven young orphans living there. As they don't want to be found, they decide to keep it all a secret. Little do they know, Lorna has been followed to the cabin by a paparazzo. Sounds a little to me like the Hannah Montanna movie. Not that I've seen it. The whole film is like a Christmas version of Snow White, with a character even filling the shoes of the witch. Some of you may want to sweep this one under the rug, but please don't. Give it a go, if you can find it. It's one of those films you hate to admit you like. Tells the story of nerdy high schooler, Chris (Ryan Reynolds) who grows up to be a successful record producer. After heading back to his home town for Christmas with singer Samantha (Anna Faris) he runs in to a good old friend, Jamie, who he had a crush on back when he didn't look so crash hot. And now he is. You know the rest, but it shouldn't stop you from checking it out because there are some funny moments. There is only one thing Ralphie wants for Christmas. A BB Gun. And he spends much of the movie trying to convince people to get him one. I'd also like to add, that because of this film, I will forever be hunting down a lamp shaped like a woman's leg in fishnet stockings. Tim Burton is amazing. One thing I always wished to learn was stop-motion. But you need patience, and I can't even handle waiting for my oats to heat up in the microwave each morning. So there went that idea. A Nightmare Before Christmas tells the story of the Pumpkin King, Jack Skellington who learns to understand Christmas after walking through a Christmas tree shaped door in to 'Christmas Town'. Written and produced by John Hughes, possibly my favourite screenwriter of all time (And if you feel the same, check out my article on 'Hosting a John Hughes Movie Night'. Macaulay Culkin shot to fame in this one as Kevin, an eight year old who is left at home while his parents holiday over Christmas. Majority of the film is spent with Kevin outwitting two burglars, while at the same time learning the true meaning of Christmas. Two women, played by Cameron Diaz and Kate Winslet decide they are over men, and swap houses for the holidays. Some which, in reality, you can apparently do. Of course after being sworn off men, a couple of good looking ones come in to each of their lives. Another of Tim Burton's, but has to be here. In my opinion, this film sees Johnny Depp at his best, and is one of my most favourite films of all time. Big call, I know. A guy with scissors for hands. But it's more than that. The film begins with an elderly woman telling her granddaughter the story of where snow comes from. This leads in to the story of a young man named Edward who has scissors for hands. The reason being, his inventor died before he was complete, leaving Edward almost complete. During Christmas time, Edward is feared by everyone in the neighbourhood. But of course, they do not know him, only judging by what they see. I am largely excited about this one. It's one of those flicks you could be lucky enough to catch on free to air T.V around midday during the holidays. Starring Olivia Newton-John, this film is about a young girl who lost her mother at a young age. All she wants for Christmas is a mum for her dad, so it's perfect when she finds a department store mannequin that looks just like the mum she would like. Laugh now. Thank me later. This one I watch every Christmas eve with my partner with a bottle of wine. Best Christmas Eve tradition ever. You've heard the song "It's beginning to look a lot like Christmas..." And it will, after you pop on a few of these.